A grimoire is a book of magic. It often included instructions on how to create talismans and amulets, how to perform spells, and how to invoke supernatural entities. In many cases, the books themselves were considered imbued with magical powers, not unlike other sacred texts (such as the Bible). 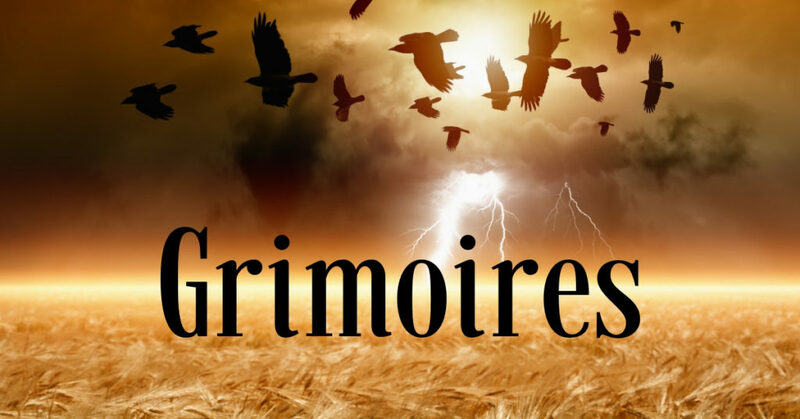 The term ‘grimoire’ comes from the French word ‘grammaire,’ which originally referred to books written in Latin. But by the 18th century, it had begun to be used to describe books of magic. While grimoires are believed to have originated in Europe—the earliest were written on cuneiform clay tablets in ancient Mesopotamia (modern-day Iraq)—they have also been found around the world, from Jamaica to Sumatra. In the 18th century, with the rise of the Enlightenment (a movement devoted to science and rationalism), there was also a persistent belief in magic and witchcraft, and many grimoires were produced during this time. 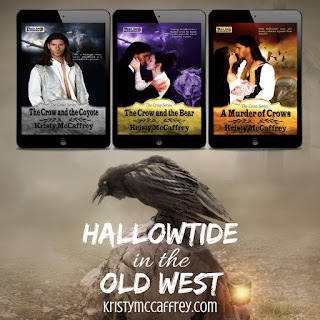 A grimoire plays a role in my upcoming release A MURDER OF CROWS. She quickly sorted through it—a sturdier blouse and skirt, and new undergarments. “Thank you.” It was a kind gesture, considering the tattered state of her current clothing. His gaze lingered on her, and she felt his interest as clearly as if he had touched her. Kester Boggs did want her. A flash of warmth bloomed in her face and shot straight to her toes. Why did she feel a sense of victory? Why did a part of her wonder what would happen if she agreed to the desire in his eyes? Ambivalence held her rooted in place. She waited for Kester Boggs to be like all men, because surely he was like all men. But her woman’s sense, her witch’s sense, strummed a tune that said he wasn’t. “I’ll be back in an hour,” he said. He pulled his Colt and held it out to her. “Yes.” She’d taught herself how to shoot. Her cousins had had little interest in learning about weapons, believing their other skills would keep them safe, but Eliza had always hedged all her bets. 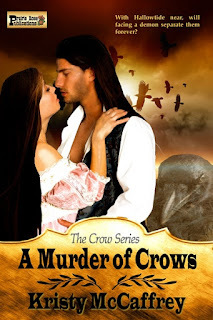 It was why she was willing to enter into an agreement with The Crow. She grabbed hold of the gun.